Earlier this year, Governor Scott Walker of Wisconsin signed a bill into law that makes it harder to file claims against asbestos companies. The motivation for this bill is the supposed systemic fraud in asbestos trust funds, which are organized by asbestos companies that have gone bankrupt. Walker’s opponent in the upcoming election, however, is challenging him on the basis of this law. Gubernatorial candidate Mary Burke has vowed to repeal the law if she is elected. This is a recurring issue in the world of asbestos claims. Similar legislation is happening at the state level in Ohio and Oklahoma, and a national level bill passed the House in November 2013. The goal of this legislation is supposed to be transparency in asbestos claims. The law in question, Senate Bill 13 (SB 13), requires personal information from victims of asbestos diseases like mesothelioma to be made public. Those who oppose the law argue it could discourage victims from filing and even delay compensation—a major issue for patients with a late stage diagnosis. 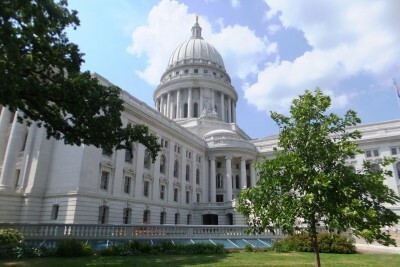 “SB 13 will delay justice and allow corporations to deny accountability until asbestos victims die, leaving grieving families and taxpayers with the bill,” states the Wisconsin Asbestos Victims Network on their website. Some people may be confused on the issue as it has caused divisions among groups that have traditionally stuck together. Veterans in Wisconsin have been considerably vocal on the subject because they are the largest group of people affected by mesothelioma. However, there has been considerable discord on the issue. Veterans who oppose the law do so on the ground that it will discourage victims from filing claims and getting their rightful compensation, or that it will delay compensation. This is a familiar argument that has been expressed by several advocacy groups for victims of asbestos exposure. The Wisconsin Veterans of Foreign Wars has openly objected to the law. Some veterans support the law because they don’t want trust funds to run out of money while there are still actual victims who need the money. The concern of diminishing funds has been raised by the asbestos companies responsible for contributing to those funds on the assertion that some claimants are “double-dipping” by filing against multiple funds. The defense lawyers’ arguments to offset settlements usually fail to mention payment percentages in asbestos trust funds. These percentages are designed to keep funds from running out, the most common theme brought up by those who support bills like Wisconsin’s SB 13. A payment percentage is an adjustable rate that sets the amount of how much claimants can get from a trust fund. If the fund gets low, the trust managers can adjust the rate. Although this doesn’t prevent potential fraud, it does undermine the debate regarding dwindling funds. Arguing on the side of plaintiff lawyers, advocates say these types of laws are designed to prevent victims of asbestos exposure from filing altogether. These “repressive” laws may reduce fraud, but only inasmuch that it prevents a broad swath of claimants from filing, including those who are legitimate victims. In addition, personal information is available to defense lawyers through subpoenas. “No one argues that people suffering from mesothelioma shouldn’t get compensated. Instead, it’s a matter of the right companies paying the right amounts,” said Michael Tomsic in an article for NPR. For those not affected by mesothelioma and the devastation it causes families, it can look shady. Approximately 100 companies have gone bankrupt because of these claims. It’s kind of scary given that the economy is still in an uncertain place for many Americans. It’s not as scary, however, as the thousands of patients who have died from negligent asbestos exposure. Mesothelioma patients should never be deterred from seeking a claim. These trust funds are set up as rightful compensation for patients and punishment for negligent asbestos companies. However, Wisconsinites with mesothelioma will have to abide by the new transparency laws for now. No matter where someone with mesothelioma stands on the issue, everyone in the debate agrees that victims are entitled to compensation.